The Federal Communications Commission voted 3-to-2 along party lines Thursday to expand the Lifeline telephone subsidy for low-income Americans to include Internet access. The decision generally follows an earlier proposal by FCC Chairman Tom Wheeler, a Democrat, to expand Lifeline's current $9.25 monthly phone subsidy to include broadband Internet access or bundled voice and data service plans. The fixed speed of the service will be based on what a "substantial majority of consumers receive," which is currently 10 Mbps for downloads and uploads. The changes are expected to go into effect by Dec. 1. In addition, the FCC adopted an annual budget of $2.25 billion for the program, indexed to inflation, although Republicans on the FCC wanted to cap that amount to $1.75 billion, given criticism of the program for waste, fraud and abuse. To address concerns about fraud and waste, the program creates a new oversight body called the National Eligibility Verifier that would rely on databases to verify that only eligible subscribers are enrolled in Lifeline. The Verifier would also take the enrollment process out of the hands of Internet providers. Lifeline is supported by the Universal Service Fund, which is paid mainly by a tax on consumers' phone bills. The USF costs the average U.S. household between $2.88 and $3.52 a month, with Lifeline taking $1.75 of that total. Lifeline helps provide affordable phone service to about 13 million Americans. The goal of the modifications is to provide about 5.5 million more people with both broadband and phone service, out of a potential pool of about 40 million who are eligible under current income guidelines. FCC Commissioner Ajit Pai, a Republican, encouraged a higher broadband minimum speed of 25 Mbps for wired broadband and 4G LTE for mobile broadband for the Lifeline program. Thursday's vote came after a four-hour delay that involved apparently intense, back-room negotiations on the details of the Lifeline reform. Pai and his aide Matthew Berry, said Democratic Commissioner Mignon Clyborn had mostly agreed to Pai's terms, including a budget cap of $2 billion, but then decided to vote with Wheeler and the Democratic majority. Berry claimed Wheeler had "bullied" Clyborn into dropping support for Pai's position. Later, in comments to reporters, Clyborn said she joined the Democrats voluntarily. For his part, Wheeler said charges that he bullied Clyborn were "balderdash." The FCC's action on Lifeline won the praise of consumer advocates, including the National Hispanic Media Coalition. Jessica Gonzalez, executive director of the NHMC, said her group was "pleased that the commission voted against a cap [on Lifeline] so that no eligible family can be turned away." 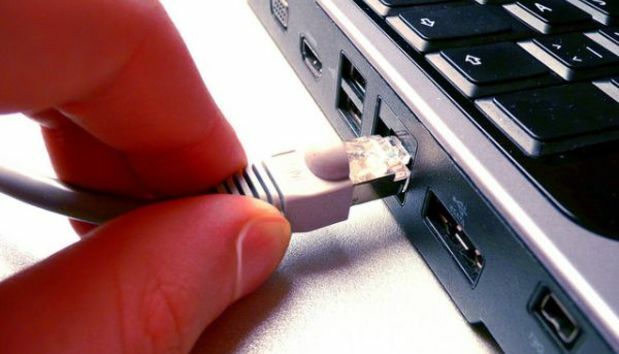 Matt Wood, policy director for the advocacy group Free Press, said Pai's 25 Mbps minimum speed proposal would have raised the Internet cost for low-income families and "placed broadband connections out of reach for the majority of low-income Americans."